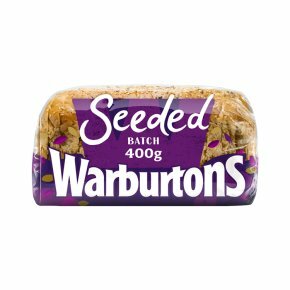 A deliciously soft batch loaf made with a special mix of five seeds. Baked with a delicious blend of sesame, sunflower, millet, linseed and poppy seed. Vegetarian Society approved. Halal - HFA approved. Kosher - KLBD. "Can you believe it, my wife bought a competitor's loaf, so to avoid this calamity happening again, we developed this great tasting Seeded Batch which she now claims is her idea!"